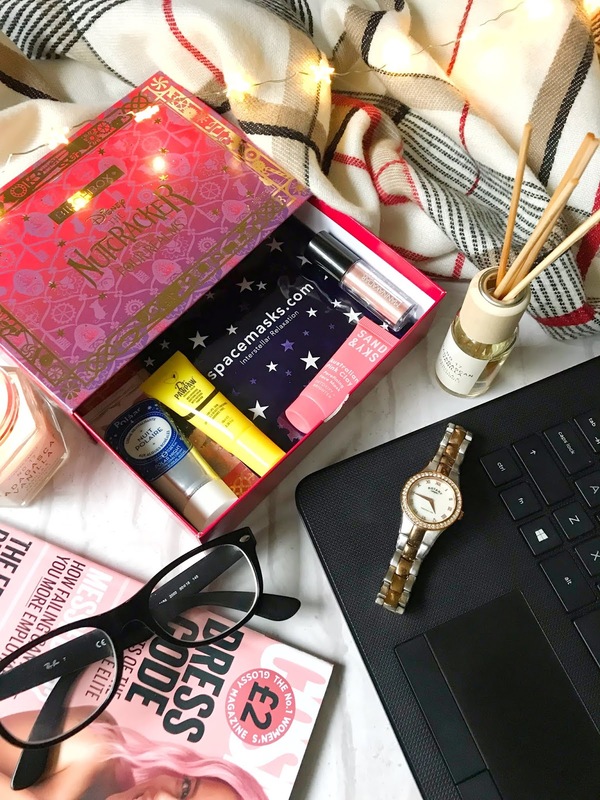 The lead up to Christmas has begun and all the Christmassy themed items are being brought out which I love and now Birchbox has teamed up with Disney (yay) for the release of their new movie The Nutcracker and Four Realms which I cannot wait to see. The design of this box is actually my favourite this year and will be something that will be going on display this Christmas. If you have read my Birchbox posts before you will know that I have really enjoyed the other Polar product that I received all the way back in my June Birchbox, so I was instantly excited about this Night Cream. This cream claims to brighten the skin overnight, plump and healthy-looking complexion. I've tried this for only one night so far and loved what my skin felt like in the morning. I wouldn't say I woke up with brighter skin but I felt that I did look more refreshed than usual. The consistency of this cream is really lovely, its slightly thicker than a normal moisturiser and has a lovely fresh scent. I'm looking forward to using it more during these colder nights. 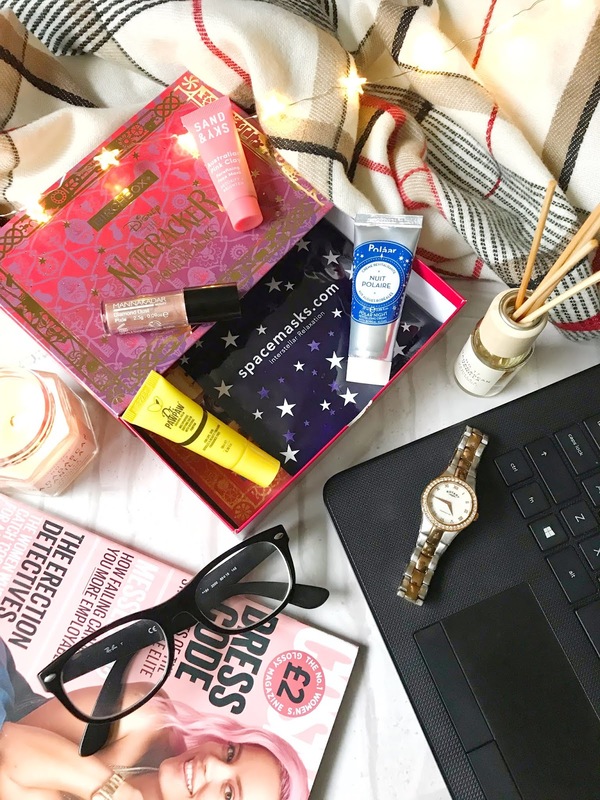 In a recent post of mine the Tk Maxx Beauty Haul, I found a Dr PAWPAW lip balm which was tinted, I did really like it but I also wanted to try it out the clear version to really help heal the dry skin on my lips, so I was very excited to receive this balm in my Birchbox. In this colder weather, I get really bad dry lips where sometimes they actually crack and actually can bleed so I'm always on the lookout for lip balms to heal my lips. I have been using this product for a few days and I have to say I've fallen in love! I have been applying this balm to my lips a few times a day and the condition of my lips has improved almost instantly. This balm also has many different uses, it can be used for cuticles and beauty finishing. I have also tried using this product on my cuticles and I was surprised that it really worked, its a slightly different product than I usually use on my nails but it has helped to keep up the good condition of my cuticles. If you haven't seen this mask before then you must not be on Instagram, for months I have seen beauty gurus use this mask and I have wanted to try it so bad but never realised you could get it in the UK. This mask is supposed to detox, invigorate, refine and brighten your complexion with the genius ingredient of Pink Clay. I tried this out for the first time after having a bad skin day and it just really needed a bit of a pickup. I applied this product all over my face and let it dry (it changes colour from white to pink which is always fun) I probably left the mask on longer than your supposed to but I always do that. Once I washed the mask off my skin did really feel lovely, smooth and it did look slightly more bright and fresh. I've only used this mask once and I'm going to continue using it until I use up the sample to get the best outcome from this mask! When I saw this product it instantly brought back to Claire's lip balms and eyeshadows because of the roller ball applicator. I've never really used an eyeshadow like this before but it did look really interesting. The colour I got in this product is Pixi, this colour is a really pretty rose gold shade. I've tested this product on my eyes and it applied nicely but because of the product being a loose consistency there was quite a bit of fallout. To make this product really work I would use a base product, either a lid primer or glitter glue. I don't think I'll be using this product this product this much as I have other eyeshadow products which I like more but I will be giving this product away to a friend who I know will really enjoy it. I was really excited to see this product in this months Birchbox, I've never heard of this brand before and this product sounded really interesting. This eye mask is supposed to heat up by its self once applied over the eyes to destress the eyes. This mask reminds me of my Thera Pearl Hot and Cold mask but with this once you can only use it once. I was slightly worried about using this mask because I have lash extensions but once I applied it, it didn't squash my eyelashes down. I waited for a few minutes and I could gradually feel the mask heat up. This mask is actually really lovely, it felt very relaxing and soothing on my tired eyes. I wore this mask before bed and it really helped me to unwind and get ready to sleep. I will be getting a few more of these masks as I think they would make perfect gifts. Overall I loved all of what I received in this months box. The design if this box has got to be my favourite and I will be going to see the Nutcracker Movies as soon as its released! Have you tried any of these products before? I've heard so much about the space masks, I really need to try them! I've heard of these boxes before but I'm not sure if they are worth the money. They do look really good though and it looks like you get some good products. Maybe it is a future purchase! Wow!!! SO beautiful box....I don't know these products....thanks for sharing!!! i've heard some really good things about the dr pawpaw lip balm, now winter is coming my lips are getting so dry and vaseline doesnt cut it anymore! I'm going to give that dr paw paw lip balm a try because my lips are always chapped and sore and someone recommended this to me. My lips are cracked to the point of bleeding and it really knocks my self confidence. Gonna scout out a few TK Maxx's when doing my xmas shopping! I love Dr PawPaw! I always get my lip balms from them! such a great quality! 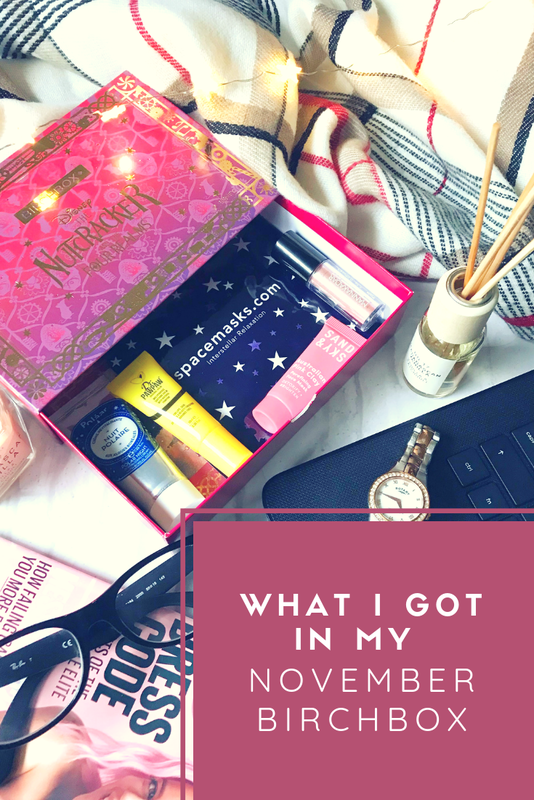 I am not very familiar with all the other brand from the box but super happy that you loved this month's box so much! That eyeshadow looks really pretty! This looks like such a lovely box! I love Sand & Sky masks and the Dr Paw Paw balm, I have one of those somewhere so I'll have to bring it out for the Winter! I've never tried the birch box, but they look like they have some really good stuff in them! It is so cool that Birchbox teamed up with Disney! You received some neat items from this month's box. I LOVE clay masks. Glad you've enjoyed it so far. Thanks for sharing your recs from the box :).